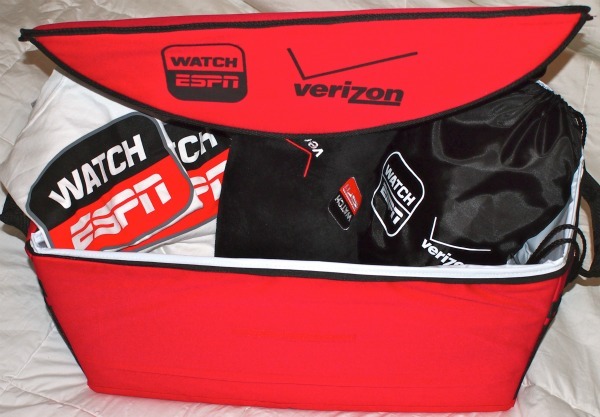 We’re working with Verizon to get the word out on their FiOS service. The 100% fiber-optic network provides extra-fast speeds for Internet uploads and streaming. That means less waiting and less buffering when you’re trying to entertain yourself with online content. FiOS also supports multiple devices for TV and Internet usage. With the Verizon MY FiOS App you can stay connected and manage your home DVR and view movies, photos and music from your phone or tablet device. Having the ability to remotely program your DVR, get voicemails from your home phone and access home monitoring and control functions while on the go is pretty convenient. FiOS Internet provides download speeds up to 150Mbps, even during peak hours of the day. You can upload 200 photos in under a minute, enjoy 17 milliseconds of latency when playing games online, download a two-hour movie in under six minutes and download 10 songs in under 12 seconds. The more you bundle up these services (Internet, TV and phone), the more you save. You can even create your own custom bundle on the Verizon FiOS website. To enter, just follow us on Twitter @MANjrcom and send us an email below. We will pick a winner at random next Friday. Good luck! Print article This entry was posted by Chris Stout on May 18, 2012 at 2:59 pm, and is filed under Entertainment. Follow any responses to this post through RSS 2.0. Both comments and pings are currently closed.